Davin and Riel were perhaps our most famous Western Canadian pioneers. Louis Riel called for the creation of a new Canadian province. Nicholas Flood Davin called for the hanging of Louis Riel. “Riel is not a hero,” said Davin. “…If Riel is not hanged, then capital punishment should be abolished.” Both died tragically, Riel on the end of a noose, Davin by his own hands. Born in Kilfinane, Ireland, Davin served as a journalist in the Franco-Prussian war, seeing bodies piled six-deep. Reporters in those days were often arrested as spies, being required by the governments to print false information in order to throw off the enemy. This is one of the reasons why reporters in England were not given bylines, so as to protect the freedom of the press. Davin then became the editor of the new Belfast Times, but was dismissed after being so drunk that he reused his previous article from the Sheffield Times. Davin was so offended that he sued them for wrongful dismissal, demanding 5,000 pounds and being awarded only 50 pounds by the courts. By hastily imitating the apparent success of the American native residential schools, great and lasting harm was done. The Davin Report patronizingly said: “The experience of the United States is the same as our own as far as the adult Indian is concerned. Little can be done with him. He can be taught to do a little at farming, and at stock-raising, and to dress in a more civilized manner, but that is all.” The Davin Report is ground zero to the deep wound that we inflicted on the First Nations. With Prime Minister Harper’s apology two years ago, our First Nations have only begun to recover from decades of residential school-inflicted trauma. The impressive new ‘People of the Inlet’ film by the local Tsleil Waututh First Nation shows what great courage people like the late Chief Dan George showed in rebuilding his devastated people. After serving as a reporter in Toronto, Davin became editor in 1883 of the brand-new Regina Leader newspaper. My great-grandmother Mary Anderton McLean, after taking journalism at a women’s college in Kirkland Ontario, served as one of Davin’s reporters covering the Louis Riel crisis. My late Uncle Don Allen, who was passionate about history, often told us about this period, noting how sympathetic his grandmother was to Riel’s plight. Davin carried on the British tradition of not listing as a byline the names of the reporters who wrote for the Regina Leader. This was helpful for my great-grandmother Mary in protecting her from arrest by the RCMP when she snuck in disguised as a Roman Catholic priest confessor to obtain an interview with Louis Riel. 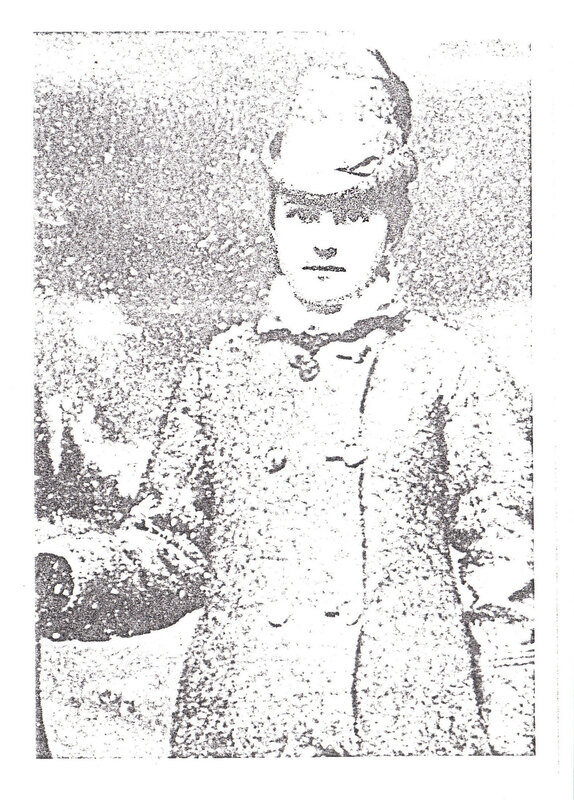 Mary McLean quotes Davin “the officer in command of the LEADER (saying) ‘An interview must be had with Riel if you have to outwit the whole police force of the North-West’.” Because Davin protected her anonymity, some writers like CB Koester and his fellow playwright Ken Mitchell have popularized the myth that Davin himself disguised himself as that priest. While waiting for my throat operation in May 1982, I spent a week with my late Uncle Don Allen who carefully explained to me about his grandmother’s interview with Louis Riel. “When I first saw you on the trial, I loved you” was said by Riel to Mary McLean, not to the man Davin who was calling for his hanging. The November 19th 1885 edition of the Regina Leader could not be clearer that Davin himself was not the reporter who was disguised as a Roman Catholic priest. 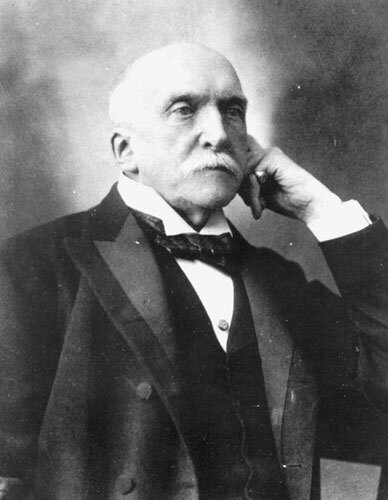 Instead Davin is described several times by the reporter as the proprietor and the editor in chief, both terms prominently displayed by Davin’s name in editions of the Regina Leader. Mary McLean also writes in the article about another female reporter (code-named Saphronica) who earlier failed to get entrance, most likely referring to Kate Simpson-Hayes, Davin’s mistress. This confusing of Mary McLean’s Riel interview with Davin forced CB Koester to ‘contort himself into knots’ suggesting that for Davin, there was two Riels, one the rebel who Davin wanted to hang, and another Riel to whom Davin was compassionate. Such verbal gymnastics were entirely unnecessary if one simply acknowledge that it was the female reporter, not the male editor-in-chief/proprietor, who did Riel’s final interview. 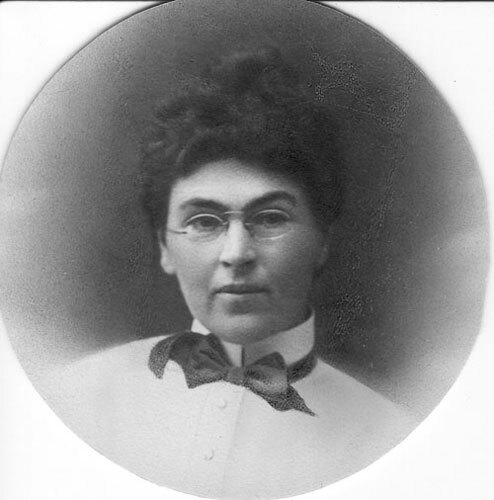 After having two children with Davin, his mistress Kate Simpson-Hayes gave the children away and became a reporter in Winnipeg. When Davin then married Eliza Reid, he brought his six-year-old son Henry to live with him as a ‘nephew’, but was unable to locate his daughter. In Davin and Kate’s final argument over the daughter, Kate said to him: “You go your way. I’ll go mine”, symbolically pointing to the Winnipeg Free Press building. Davin was so crushed that he bought a gun and shot himself on Oct 18th 1901 at the Winnipeg Clarendon Hotel. The tragic ending to the lives of both Riel and Davin reminds us that our Canadian history has much pain and trauma which can only be resolved through reconciliation and forgiveness. May the Prince of Peace bring deep restoration to the painful wounds left by Canada’s residential school tragedy. -Award-winning author of Battle for the Soul of Canada (which includes five pages on Louis Riel and Mary MacFadyen McLean). Koester, p. 16, Davin sued them for wrongful dismissal and settled for six weeks salary…He vented his anger in a letter to the News-Letter editor. Clarke, Davin’s former boss, brought a libel suit against Henderson of the News-Letter for 5000 pounds, given 50 pounds by court. Davin left unemployed at almost age 33, with his pride severely wounded. http://www.canadianshakespeares.ca/a_grit.cfm “Davin also authored the invidious (and confidential) Davin Report of 1879, a study of the way in which Americans socialized young Natives in residential schools ( see http://www.turtleisland.org/resources/resources001.htm and http://www.irsr-rqpi.gc.ca/english/) . The study paved the way for Canada’s scandalously racist policies towards Native youth and their mistreatment in the Canadian Residential School system, which effectively destroyed familial relations by virtually kidnapping children to be socialized into so-called civil society, a policy that led to generations of cultural damage to First Nations peoples throughout Canada.” To read first-hand the tragic Davin Report, click on The Davin Report . Regina Leader, Nov 19th 1885, http://bit.ly/eitTWy ; In the March 31st 1885 Regina Leader Newspaper, the heading is ‘The Leader, then below it NICHOLAS FLOOD DAVIN, Editor-in-Chief’. http://bit.ly/eUhMU3 In the heading of the Thursday August 6th 1885 Leader newspaper (and every other date of which I have a zeroxed copy), it says “Nicholas Flood Davin, Proprietor and Editor”. http://bit.ly/gZvuBp The evidence is clear that Nicholas Flood Davin, being the proprietor, editor, and Editor-in-Chief, could not be the very reporter whom he commissioned to get the interview. Regina Leader, Nov 19th 1885, http://bit.ly/eitTWy ; As to why Kate Simpson-Hayes (a.k.a Mary Markwell) was code-named as Saphronica, it is quite likely a reflection of both Kate and Davin’s common involvement in plays like those by Shakespeare. Koester, p. 66 “Yet for Davin there were two Riels: the one, the rebel, the cause of death and anguish to white and Metis alike, he had condemned in the strongest language; for the other, the strange man who was the victim of his own undisciplined imagination, he felt compassion.” (quoting the Nov 18th interview as if it was done by Davin). Koester, p.122 “Davin was now in his fifties, and Kate was some fifteen years younger….Consequently the daughter (born Jan 11th 1892) was placed with a private nurse and when this proved unsatisfactory, given over to the care of nuns in a Roman Catholic orphanage at Saint Boniface, Manitoba. Categories: Uncategorized | Tags: 3rd Monday of February, American Residential Schools, Anglican Coalition in Canada, Anglican Mission in the Americas, apology, Battle for the Soul of Canada, Belfast Times, CB Koester, Chief Dan George, civilized, Davin, Davin Report, Don Allen, Editor, editor-in-Chief, Eliza Reid, England, farming, forgiveness, Franco-Prussian war, hanging, Henry Davin, journalist, Kate Simpson-Hayes, Kilfiname Ireland, Louis Riel, Louis Riel Day, Manitoba, Mary McLean, mistress, MP, Native Residential Schools, Nicholas Flood Davin, OH Allen, People of the Inlet, Politician, preacher, Prime Minister John A Macdonald, Prime Minister Stephen Harper, Prince of Peace, proprietor, pulpit, RCMP, reconciliation, Regina, Regina Leader, Regina Leader-Post, Residential Schools, Rev Ed Hird, Saskatchewan, Sheffield Times, St. Simon's Church North Vancouver, stock-raising, suicide, Thomas Allen, tragedy, Tsleil Waututh, Winnipeg Claredon Hotel | Permalink.